It may feel like the depths of winter, but spring is on its way! If you’re anything like us, you’ve started your to-do list for the warmer weather. It will be here before you know it! We recommend adding some spa maintenance to your list. Opening your pool or spa for the summer is the perfect time to make sure it gets a thorough cleaning. This is also a great time to give your Hot Tub some attention. After such a cold winter, it would be no surprise if you’ve been using your Hot Tub more regularly. 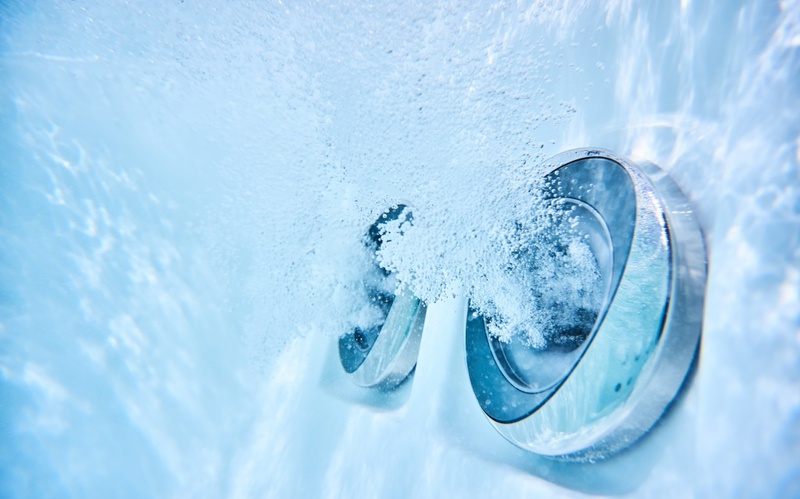 Adding ‘Sanitize the Hot Tub’ to your spring-cleaning list may seem formidable, but prepped with the right tools and know how from our pool experts, it will be the simplest chore on your list. An unsanitary Hot Tub can lead to problems. A build up of dirt and debris can clog your system and make the tub appear far less appealing. In addition, water that is not sanitized can become a breeding ground for bacteria. This can lead to small infections or rashes. We have all the equipment you’ll need to ensure a healthy Hot Tub experience. We carry a wide range of products crafted for efficient and effective cleaning. All are well-tested and trustworthy brands. There are sanitation options for bromine, ozone, salt, or chlorine systems. You’re certain to find the right product for your particular Hot Tub. Proper sanitizing will relieve worry about unhealthy bacteria, dirt and debris clogging and no more lifting the top to discover icky green algae in there! Your sanitized Hot Tub will be filled with lovely clean and clear water. Everyone will be able to enjoy a safe and healthy bath in the Hot Tub. Visit us when it’s time to sanitize your hot tub and our hot tub experts will make sure you have the know-how and products to get the job done quickly and easily. Of course, if you’re not into the whole DIY thing, just call or email us to set up an appointment with our service team.